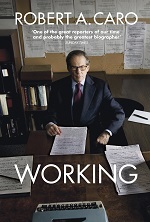 The Bodley Head will publish Working: Researching, Interviewing, Writing by Robert A. Caro in hardback on 25 April. Will Hammond acquired UK & Commonwealth rights from Cullen Stanley at Cullen Stanley International. According to Bodley Head: 'Robert A. Caro is one of the most acclaimed writers of his generation, whose biographies are widely considered to be masterpieces. He has been described as "one of the great reporters of our time and probably the greatest biographer" (Sunday Times). 'In Working he offers a captivating account of his life as a writer, describing the sometimes staggering lengths to which he has gone in order to produce his books and offering priceless insights into the art and craft of non-fiction writing. 'Anyone interested in investigative journalism and the pursuit of truth, in the writer’s process and the creation of literature, in the art of interviewing or simply the psychology of excellence will find a masterclass in all these subjects within these pages. 'Readers already familiar with Caro’s work, meanwhile, will be thrilled at the revelations on offer, including how he discovered the fiercely guarded secrets of his subjects, how he constructed the pivotal scenes in his books and the fullest description yet of his forthcoming final volume of The Years of Lyndon Johnson. 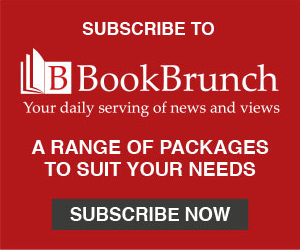 Caro’s first book, The Power Broker, published in 1974, was described in 2015 as ‘one of the greatest non-fiction works ever written’ (Sunday Times). His ongoing multi-volume work The Years of Lyndon Johnson has been described as ‘the greatest biography of our era’ (The Times). With these books he has twice won the Pulitzer Prize, twice won the National Book Award and three times won the National Book Critic’s Circle Award. He was also awarded the National Humanities Medal by President Obama, the highest award in the humanities given in the United States. He is currently at work on the fifth and final volume of The Years of Lyndon Johnson.